Vietnam Veterans deliver donations and supplies to Hurricane Michael victims. 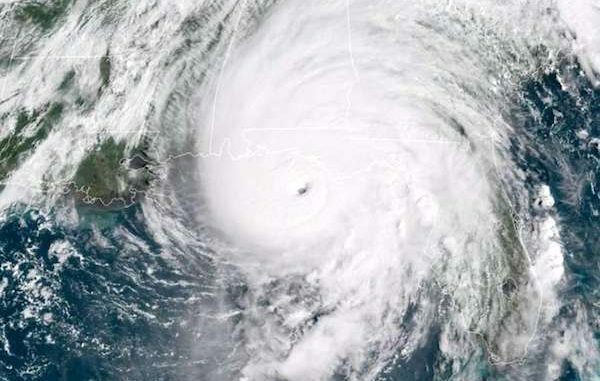 SEBASTIAN – Six Vietnam Veterans of America Florida State Council chapters combined forces to support the Hurricane Michael relief effort in the Florida Panhandle. A 15-foot box truckload of supplies was delivered on October 24 to Big Bend Chapter 96 in Tallahassee by five Northeast Florida chapters. Additionally, Chapter 1092 in Gainesville filled up a full-size SUV with personal hygiene products, snacks and other supplies. The supplies from the Northeast Florida chapters — a generator, four gas camping stoves with gas bottles, food, water, batteries, flashlights and hygiene kits for males and females, etc. — were delivered by Chapter 96 to Malone, FL, a rural community of 2,200 residents near the Florida-Alabama border with a 2016 median income of $33,616 on October 25. Financial support has also come from VVA chapters throughout the state. Only now are communities in the Malone area starting to get power back from the category 4 hurricane which pounded the Panhandle on October 10. The Florida National Guard has been deployed to the region. The Florida State Council also purchased a 7,500-watt generator to power a well in Blountstown to provide fresh water for people in outlying areas of Calhoun County. VVA Chapter 96-member Royce Wise has been responsible for our outreach effort in Calhoun County. Chapter 96 President Joe West and his members from Tallahassee have been very instrumental in distributing the supplies to the hard-hit areas in the Panhandle. The Florida State Council supply effort of the Northeast Florida chapters was coordinated by 2nd Vice President Gary Newman along with Associates of Vietnam Veterans of America FSC President Mary Anne Newman and AVVA treasurer and Chapter 1059 representative Kim Biddle. The AVVA collected and purchased the toiletries, sorted an made up approximately 140 hygiene kits. The initial call for supplies for the hurricane victims went out on Oct. 15 to the six Northeast Florida Chapters – 1046 in Duval, 1059 in Clay, 1084 in St. Johns, 1088 in Nassau, 1092 in Gainesville and 1134 in Baker. Chapter members throughout the six Northeast Florida county region donated the items for the relief effort and helped load the supply truck. “There was a very wide range of items that will be helpful and meaningful to the hurricane victims,” Gary Newman said. Newman praised the efforts of the Northeast Florida chapter presidents and the assistance from the AVVA. The relief effort was mainly to assist all members of the community, but especially veterans in need. “We want to take care of our members first,” FSC President Mike Bousher said. In addition, FSC 1st Vice President John McGinty and Veterans advocate Marc McCabe also were assisting veterans in the Tallahassee region. The Florida State Council is accepting donations by going to www.vvafsc.org and click on the donation link.